Mid-Life Crisis and Video Games to the Rescue! Most men have their midlife crisis in, well the middle of their life, around 40 or 50. I guess mine has arrived early. I've had some of the symptoms lately. I feel somewhat defeated and a little bored with life in general. I've been thinking how things could have been different had I pursued different things in life, but mostly I long for deeper spirituality and connection with the invisible God and Creator of the universe. Some time ago I made a half-conscious effort to spend more time working on things that I felt reaped some sort of reward. That reward could be monetary, spiritual/eternal, or even sentimental. I felt I was dawdling and not getting much done in life. Since time is limited, I tried to back away from activities that were purely for entertainment but produced no result in the end. For example, playing video games essentially has no purpose other than entertainment, and all you get for doing it is perhaps a little sense of accomplishment. I turned to hobbies that produced a measurable and qualitative result. So web design became one of my primary past-times. At least with that, there is an end product. Not only that, but this sort of hobby lends itself to a profession. Video games have always been a piece of my life, since I grew up in the golden age, witnessing just about every generation of games from Commodore 64 and some Atari through NES/Turbo Grafix 16/Master System, Genesis/SNES, Gameboy/Game Gear/Lynx/GBA, Saturn/Sega CD/Neo Geo/Jaguar/32X, Nintendo 64/Playstation, Dreamcast/GameCube/XBox/PS2, 360/wii, etc. Much of my exposure to such systems has been thanks to my heroic video game friends, the Jim Guys. Lately I have taken a primarily audience role, watching my friends play. In my spare time, I've left little room for what I'd convinced myself was mostly a waste of time. In reality, I was trying to come to grips with eternity, realizing that time is limited, and should be spent on things "of value". Of course, that is subjective, but generally I felt I should do constructive things. More recently, in the last several months, I am realizing I'm somewhat losing a part of myself. Not that video games are key or important, but I feel like part of my boredom/crisis stems from the fact that I haven't allowed myself enough zoning out time, just doing those things that perhaps have little value. These very things have immense relational, amusement and restoring value, however. Work, work and more work does little but add stress and take away moments from our limited wisp of life. So, for better or worse, I'm back to spending some time doing things of "little or no eternal value". Perhaps I'll swing back in the other direction later, but this season is for the games. I'm tired of being an adult and boring myself and others out of my/their minds (not that video games are the ultimate solution). Last week I bought a used Nintendo Gamecube and some games. I wanted to get a Wii because it's not only really cool, unique and new, but it can also play most Gamecube games. Alas, the Wii is rather hard to find and far more expensive, so I settled for what I could sensibly afford. I didn't even really consider the 360 or PS3. Even though they pack far more punch, I'm not extremely fascinated or captivated by super realistic, immersing gaming. I find it somewhat repulsive and even a little mentally dangerous to play games that too closely simulate reality, especially much of the "bad" side of it. 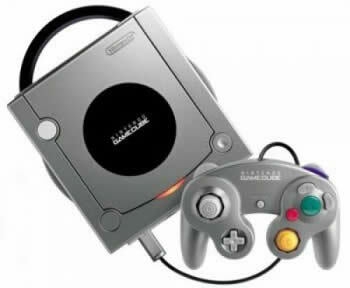 I briefly considered the original XBox and PS2, but they are both notorious for hardware flukes and failure, so I went for Nintendo, the by and large most reliable and consistent company in the hardware department. I mostly prefer childish, cartoony fantasy games, like Zelda, Mario, Mickey Mouse, Sonic, etc. I enjoy the Action and Adventure genres... games that are mostly platforming, but also with elements of strategy, puzzle-solving, and perhaps most importantly great story, characters and plot. Historically, Nintendo has focused on making this sort of game, targeted more to family-friendly fun, rather than serious adult gaming.